Funding comes in the form of $2,000 USD for selected projects. Your project must be tied to one or more of our focus areas. The big, overarching goal of each project also must demonstrate a tie to making a positive impact on the world. Your full project must be actionable at most 12-18 months after you’ve received our funds. You also will be sending quarterly updates and other communications. We will accept applications no matter your age, location, or experience. The key is that you are just starting up on an endeavor you believe will make the world a better place. Giving it a title and mission statement will help you narrow down to what you want to achieve. What is the problem I am aiming to solve? Is the problem local or global, or both? Who does it affect? Research will help here. What does my project mean for the future? Might it lead to new tools, concepts, and understandings? What is new and different about my project? What sets it apart from similar solutions? How does my project link to my bigger dream? How do I define my dream? What made me want to do this? How do I justify this amount? A budget spreadsheet and supporting justification are recommended. What are the steps I would take after receiving funding? Provide a general overview to help us see that you have a workable and sustainable plan. Do I have a solid plan for getting to my dream if this project succeeds? We fully support varied learning styles and creative abilities, so however you feel you can best convey what you want to do is acceptable. In other words, the format of the presentation is completely in your hands. The only limitation is that it must be sent digitally to us, whether it's through a document or movie. 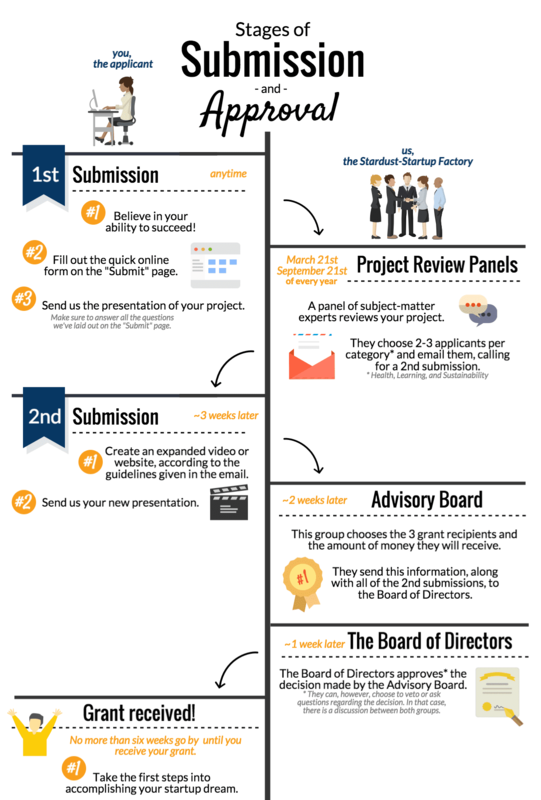 Read our terms and conditions here and view an infographic on the submission process here. uploading or linking your project proposal using the form.